Master camping, communication and team skills in a wilderness setting. Camp, canoe and kayak in spectacular areas of Maine and Maryland. Learn to respect yourself and the environment through Outward Bound. This activity is specifically for children. 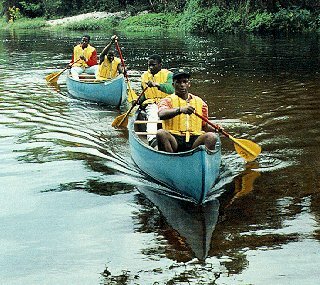 Travel picture of Canoeing and camping in the wilderness.